GET THAT REAL V8 PERFORMANCE AND SOUND WITH OUR WALKINSHAW PERFORMANCE POWER PACK UPGRADES. DYNO TESTED WITH PROVEN GENUINE POWER AND TORQUE INCREASES. Our WPP dyno tested and developed package provides more power, more torque, improved throttle response and a V8 note that sounds just right. By choosing a WPP Power Pack Upgrade, owners can expect to achieve up to 10% more power and up to 25% more torque, gains that complement the vehicle without compromising its ability to operate as a daily driver. Walkinshaw Performance now offers our Peace of Mind Drive Line Warranty** with the WPP Power Pack Upgrade when it is fitted to a vehicle still under manufacturer’s warranty with our unique Walkinshaw Driveline Warranty. This combination is the most popular upgrade our customers choose and is a realistically priced enhancement to your vehicle. WPP Power Pack Package prices start from $3,700.00 fitted or weekly payments from $25* a week to approved customers. • Walkinshaw Performance Cold Air Intake • Engine Controller Upgrade (ECU) • Walkinshaw Performance Cat Back Exhaust System • Performance and Race Tech in house Dyno test, with before and after dyno sheets. 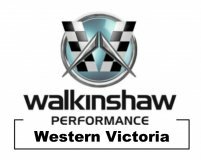 With a Walkinshaw Performance Power Pack from under $25* a week to approved customers, you can enjoy the proven benefits of this great package. Conditions apply. THE FINE PRINT* Weekly payment for the Performance Power Pack based on approximately $4000 investment over 5 years to approved customers. These payments are an indication only. Variables such as loan type, applicant and current interest rates are not taken into account. Exact payments will be provided on application.